Everything you see online may not necessarily be true as fake screenshots can be easily made without any image editing softwares. Most of them are for pure fun, however, some can be made to deceive readers with fake information. You can use these tricks just to have fun with your friends and see how they react. I have already posted a step by step tutorial on this. 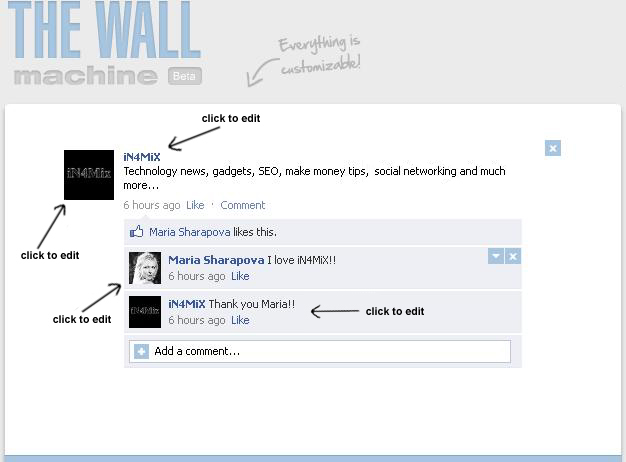 You can create your own Facebook status with fake likes and comments using a The Wall Machine. Everything can be manipulated including profile photos and names. iFakeText allows you to build screenshots of iPhone text messages. Enter anything you wish and generate text screenshots. With Fake Tweet Builder you can make screenshots of tweets that never happened. You can customize almost everything you can think of in a tweet. Have fun with this tool. Ticket-o-Matic allows you to create screenshots of airline tickets. Tell your friends about your recent visit to Venice which never happened. With Fodey, be on newspaper headlines and show how popular you are. Expense Steak lets you print receipts of real looking restaurants bills. With all these methods there is no way your friends will doubt these fake screenshots. Have fun!